Everyone knows that Snapchat is ultra-popular among children and teens. Snapchat is even identified as a “network for young people”. But this does not mean that older people cannot use it. They should at least talk to their children and grandchildren, and it’s very convenient. The main thing for adults is to understand this social network and how to use it. Let’s mark some points. 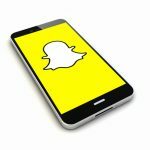 Snapchat allows you to record video and take a photo “here and now”, after which they can immediately be sent to someone. The receiver opened it, saw it and the message was deleted. This is an ideal concept where you can feel a little freer than usual. And no one will condemn clumsiness. The more stupid, the dearer in Snapchat. We can show ourselves and see our loved ones real. Since there are no strict rules of behavior and a purely visual format of communication favors simplicity and naturalness. There is no space for publications visible to all your friends. You can target one-to- one, or several, as desired. This is a simple tool where you can send jokes to a specific recipient in a second, maintaining an inner circle of communication. Snapchat is meant “for one`s own”, not for everyone. There’s no one here is not concerned, if you cannot do something, or you do not understand something “obligatory”. Snapchat conceived initially for the most informal pastime, so here you can look quite ignorant and silly. So, we figured out why you would be happy in Snapchat. Now let’s integrate into this social network and take the first steps. Understand immediately: the interface and capabilities of Snapchat are not designed for a single “presence”. This means that registration here will be meaningless if you do not have a person ready to actively monitor what is happening. If you integrate here, the participation of your children and grandchildren will be vital. And then you will also involve your friends in this fascinating adventure. The idea is to follow interesting people, as well as organizations or groups. That is, you need a couple of active people first and, if possible, subscriptions with interesting content that you want to follow. From this begins communication in Snapchat. 1) Download it at iTunes or GooglePlay and create an account there; 2) Find little yellow Snapchat ghost at the top and press it; 3) Find and press Add Friends button; 4) After asking the names of relatives and friends in Snapchat, add them from the search; 5) To get snapping, click the circle on the bottom; this is the way to make photo (click one time) or record video (hold it down); 6) Then you can find tools on the screen and add something to your photo and video: additional text, emojis, or try filters to change the image in an interesting way; 7) White and blue arrow icon in the lower right corner is a way to open friends list: choose the people who must see your photo/video this time; 8) Send it, you’re awesome! This is enough to experience the first pleasant experience of using Snapchat. But study further the other functions: create a “story” (photo or video (or their sequence) that will be available to users during 24 hours), share “memories” (publish photos from your archives), and so on.